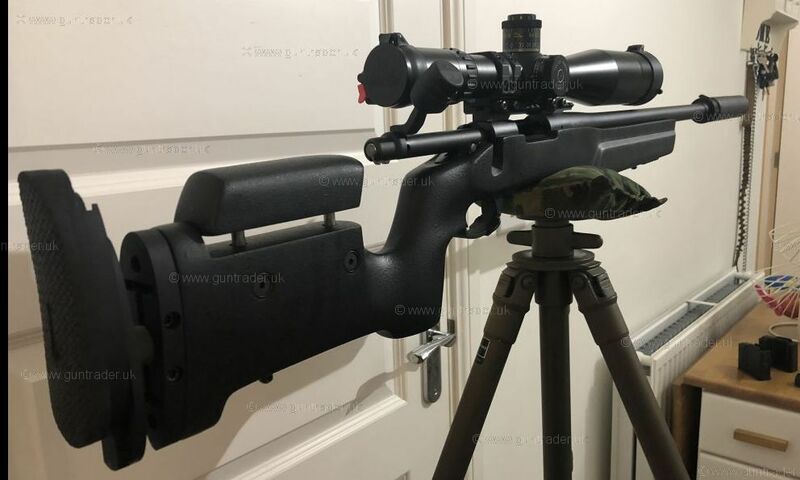 This is a brilliant example of the Remington 700 AAC-SD 1-10” Twist.The rifle is pretty much like new, with only 557 rounds through the barrel and only 224 through the moderator. This rifle has had me 1/2” groups at 100 yards with the right load, extremely accurate. 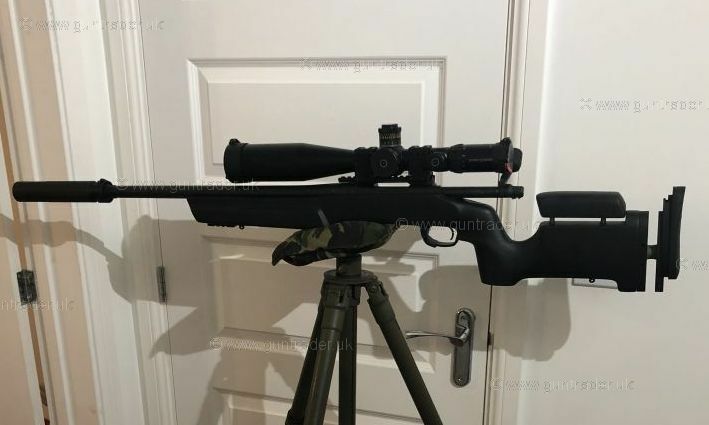 The rifle is sitting in a Bell&Carlson A5 medalist stock, fitted with a picatinny rail to support picatinny style bipods. Bottom metal to take AI mags. 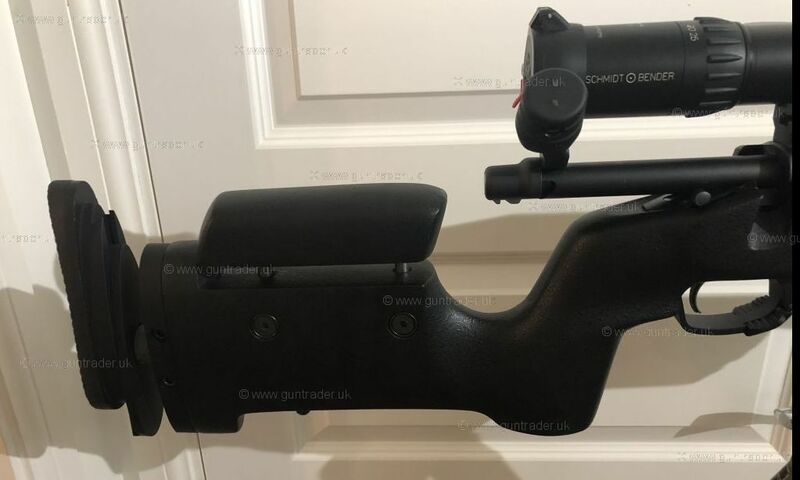 Fitted with a Badger ordnance 20MOA rail. 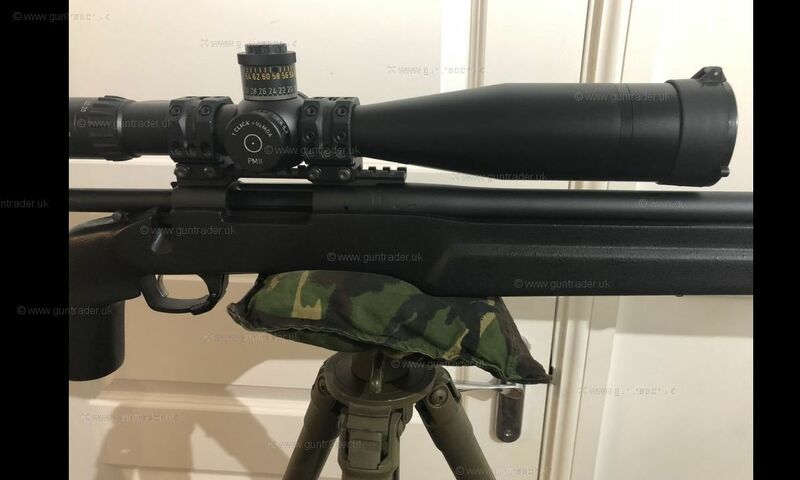 34mm Spuhr SR-4000 rings, Schmidt&Bender PMll 5-25x56 1/4MOA P4FL reticle and Butler Creek scope covers. 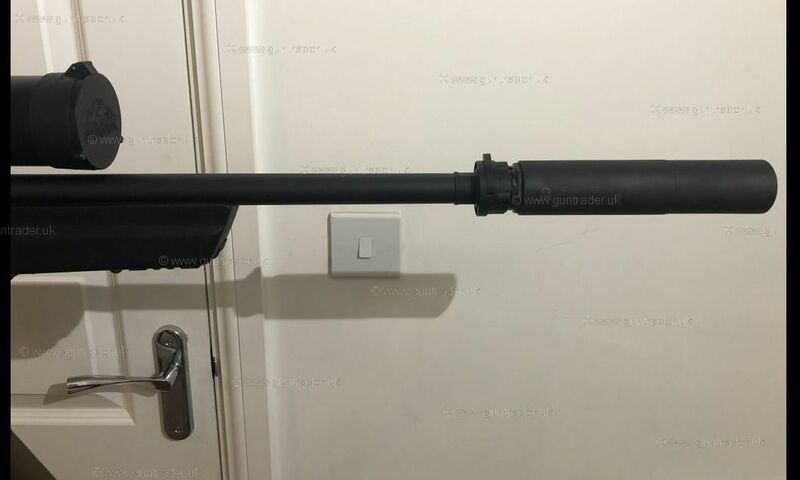 Comes fitted with a ASE UTRA self timing muzzle break with a JetZ-BL to screw over and lock onto the muzzle break all topped off with a KRG bolt handle. Includes 2x 5round AI magazines. 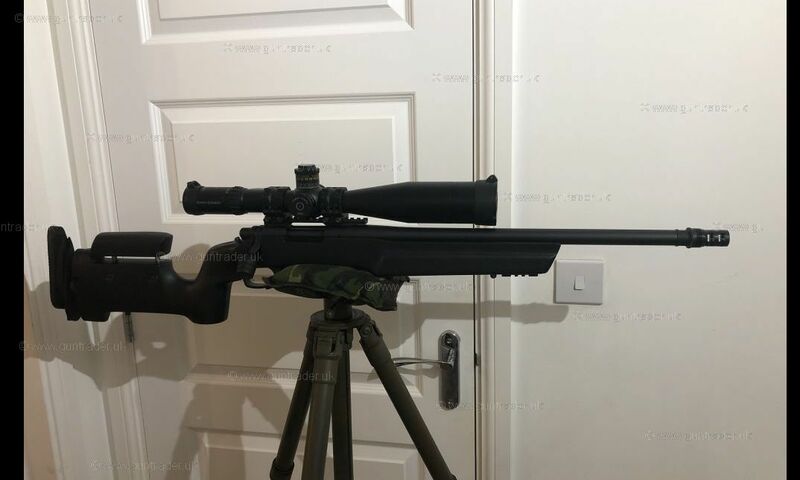 I’ve owned this gun for just over a year now and has been the best rifle I’ve owned so far I also have a barrel log and load data book with this rifle. If you wish to see more pictures or have any questions give me a call on 07843814058.